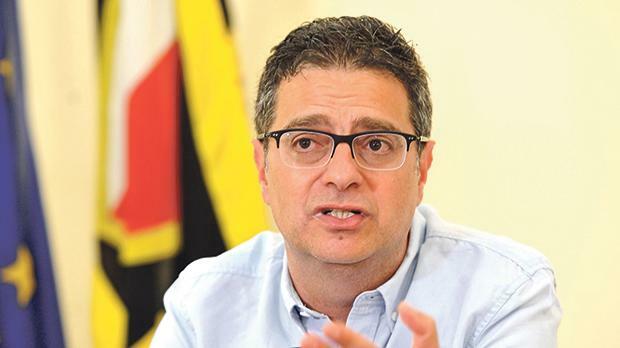 Nationalist Party leader Adrian Delia has filed an application with the taxman to settle his dues but no arrangements have been made yet, the Times of Malta has learnt. Dr Delia owes more than €50,000 in tax and another €35,000 in penalties and fines. A spokesman said Dr Delia had sent an application to the Inland Revenue Department to be able to settle his outstanding balances. The department, he noted, had not yet replied. “Dr Delia has filed the relevant application to settle arrears and is awaiting feedback from the Inland Revenue Department as to when and how the arrears should be settled,” the spokesman said. According to the statement of affairs published in September, prior to him being elected PN leader, Dr Delia had assets amounting to €1.6 million and what was described as a “tax balance” of almost €52,000. Also listed were €35,000 in interests and other charges. According to the information published, Dr Delia owns property valued at €2.25 million, shares in five companies worth €40,565 and a stake in Mġarr Developments Limited worth €185,082, apart from other assets valued at €74,936. Sources said the payment programme to be offered to Dr Delia by the taxman would very likely be similar to that given to anyone who had outstanding tax balances. The arrangement would see him paying off the amount over a number of months, just like a bank loan. Dr Delia’s financial situation had stirred controversy prior to his election as party leader. In October, he had said he would be settling the issue with the department by the end of the year. Questions were raised about how he intended to settle his debts, which include €829,510 in loans, overdrafts and credit card balances. Dr Delia said he had no savings due to the fact that he always preferred to invest in property. “I never put much money in a bank but always chose to invest it,” Dr Delia said in an interview. He has maintained, however, that his financial position was of no concern since his assets far exceeded his debts.